View 22 more screenhots at Softpedia.com. 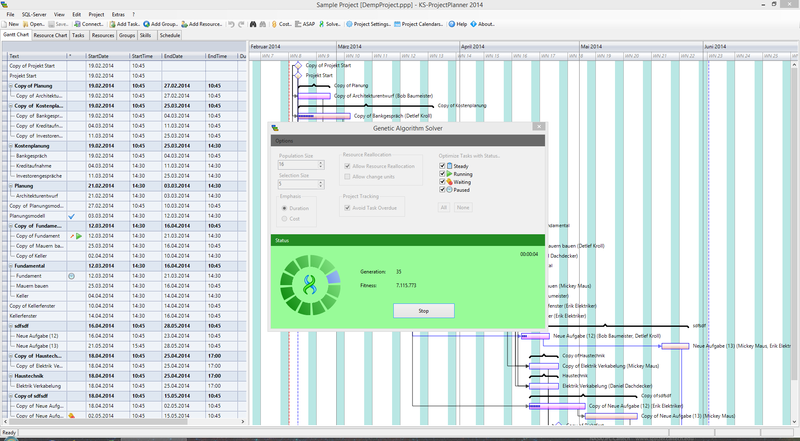 This is a leightweight but powerfull project management solution with tons of features. 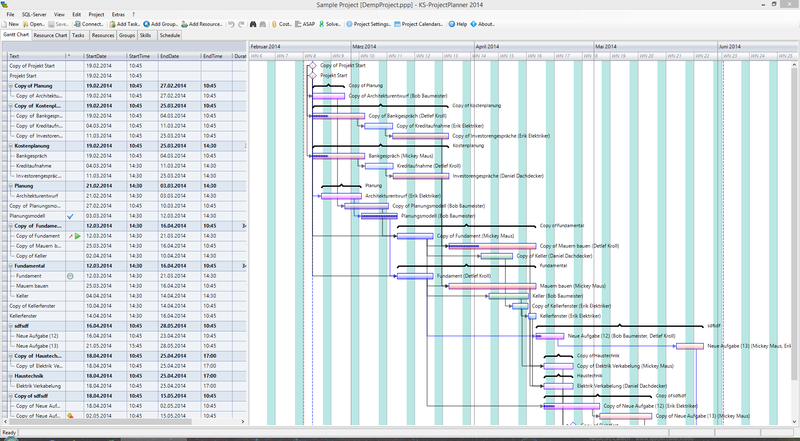 Built on top of the KS-Gantt Control it offers all functionality implemented in a modern DotNet technology. 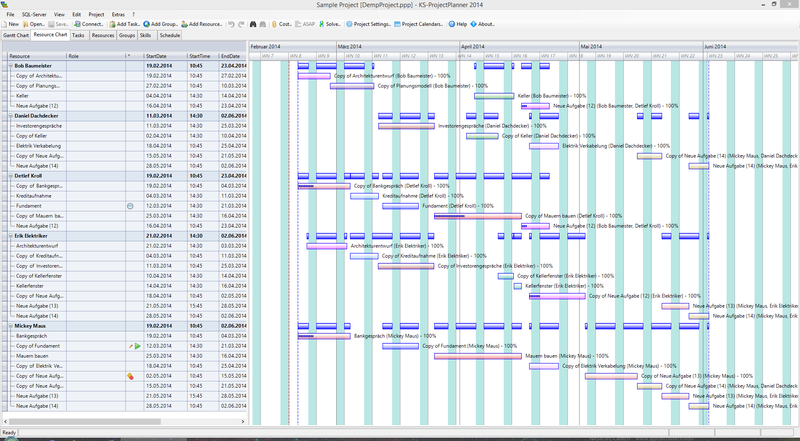 This means fast and intelligent planning of tasks and resources in an interactive gantt-chart. 64-bit native on 64-bit machines. Also runs on 32-bit systems. Might this tiny little and well thought app replace MS-Project*) for you? Improved user interface. All dialogs are sizable. This download is real FreeWare without any ads, nag-screens, etc. This version will never expire. This is a modern DotNet Application. The installer does not make any modifications to your system and does not install additional components. So it's clean and safe to install and uninstall. 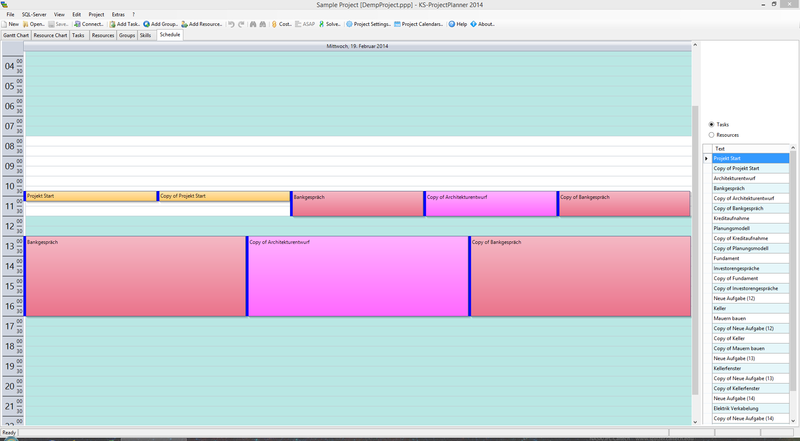 You can find even more information about KS-ProjectPlanner 2014 FreeWare in the Online Help. Please tell us, what you think about ProjectPlanner, and please report any bugs or problems. Do you want to help us and translate the software to your language?